1) Try Before You Buy: This option offers one full level of play from Level 85 to 86 – which takes a typical player several hours – with 100 Alternate Advancement (AA) points to test out a class of your choice at a high level. The Free Trial includes a flying mount, armor, consumables, and a few restrictions. 2) New Heroic Character: A full Heroic Character can be purchased at Character Select or while playing as a Free Trial character. It includes a level 85 character, 280 AAs, all items included in the Free Trial, and is unrestricted. 3) Upgrade Existing Character: The Upgrade option allows you to select any existing character at any level and upgrade it to a Heroic Character. All upgraded characters are leveled to 85 and are increased to 280 AAs, but not beyond. If you are above level 85 and have more than 280 AAs, you won’t receive additional levels or points, but will get a bundle of items that includes the flying mount, armor, and consumables. 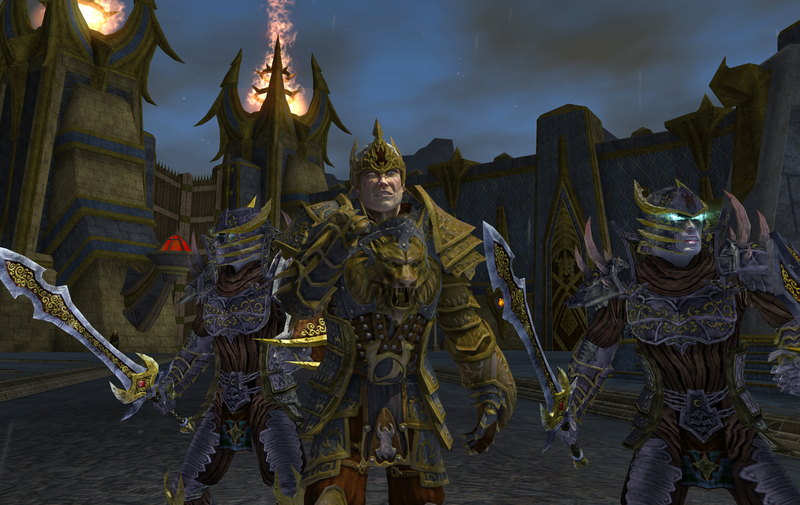 Everquest 2 is currently enjoying its 9th expansion, Chains of Eternity which raised the level cap to 95. Players who snag a free Heroic Character will still need to purchase Chains of Eternity in order to reach max level. So..basically you can pay to nullify 95% of the game’s content..yeah…uh…..WHY? Furthermore, there’ll be a pile of noob 86’s around who have zero idea how to do high end raids. Money cannot buy you knowledge..no one will want to raid with you if you have no clue about what you’re doing. They aren’t gonna find any real raiding going on til lv 95.They can use the ten levels which will take awhile to level through to learn their class.Plus this day and age most players should have enough experience with mmos in general to know the basics of raiding.unless they only played p2w garbage like most korean and chinese made mmos. And there are enough dungeons between lv 85 and 95 for newbs to learn grouping basics.And at least this way there is enough people for them to actually form groups with.Cause if they lv from 1 to 85 they won’t learn anything when it comes to group mechanics cause the lower leveled zones are dead. well before the comments setion is flooded with nothing but the game is going p2w.I’m going to give my opinion on this event.As a EQ II player I can say giving lv 85 caracters is not pay to win.First let’s look at the current state of the game.Levels 1-85 are practicly dead zones.If you are incapable of being being social then you will love those levels of non stop soloing.Cause that is all 1 to 85 is these days.And dungeons before level 85 are empty as well.Don’t believe me try using dungeon finder at those early levels when it becomes available.Notice the never ending wait due to there being no real low level population?Yeah so do most newer players. And don’t expect to find a guild that will let you join at low levels.Most are all maxed out toons that are all in the high level zones.And even if you do that solo grind to 85 and up.Your still going to lack any knowledge on group play until you reach those high levels where everyone is.And since 85 is not endgame level your not getting an advantage.Instead your getting to start at a level where you can actually start playing the game with other people.If anything this just pay to speed.Vetrens will be able to spot the noobs so the newer players will end up just playing with each other.And will learn how to function in a group.But then there are people who played EQ II back when it was a p2p and still play and still can’t function in group play.So people that are preping to say ,”but now I’m going to be finding nothing but groups of noobs.”Just stop don’t even bother opening your mouth. Sorry but there are plenty of these noobs at high levels already,this event will not be the first time idiots will be in high level groups.And truth be told is in EQ and EQ II your expected to be in a guild for endgame.So why are doing pugs like it’s WoW?I say let the noobs have their lv 85 toon so they can play together and find some of us friendly vets that are willing to teach them.And now if you decide to buy the chains of eternity xpac at least you won’t have to spend months soloing through what is practically dead content to start playing it.And if it bugs you that much you canstill choose to lv 1 to 85.Hey some people are just not very social. I could write an essay about how ignorant and dumb you are but I’m assuming you’re a troll.